Diasporic Dining XXXX: Cuisine Brutal or Solitaire? “New York Prisons Take an Unsavory Punishment Off theTable,” ran The Times headline (NYT, 12/17/15). The story delivered a recipe for a Nutraloaf or “Disciplinary Loaf” that up until recently was served to prisoners in solitary confinement. And the article went on to describe the cuisine thusly: “Pennsylvania prison chefs cooked up a chickpea version, while Illinois included ground beef and applesauce in its court contested recipe, as well as other ingredients that do not usually go together. 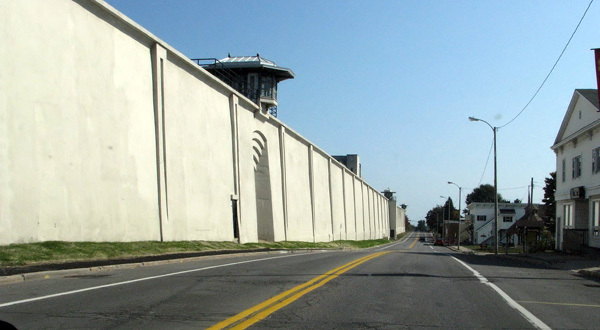 The version in New York State prisons used a motley assortment of baking staples and hard-to-overcook vegetables, including shredded carrots and unskinned potatoes. It was served with little more than water, to choke it down, and cabbage as a side.” Yum! You’ve heard of Cuisine Brute. What about Cuisine Brutal or better yet Cuisine Solitaire? The Times described how the loaf was used as a punishment for prisoners who had already "lost their other privileges.” And when you think about it, it’s rather an ingenious idea for wardens who have come to the end of the rope, as it were, in trying to come up with torments that can act as coercions—particularly since real torture—like for instance the use of the Iron Maiden—hasn’t been on the palette or palate in penitentiaries since medieval times. But the question is, could such cuisine, which has traditionally occupied the lowest run on the “food chain,” be rehabilitated and enjoyed by normal diners, who are sick of your usual continental menu. Could Cuisine Brutal become a hot item amongst Alphabet City trendsetters who're always looking for something new to sink their teeth into? Who knows in this day and age when rents are skyrocketing it might even get some apartment dwellers to thinking about solitary as an alternative! Becoming a recalcitrant prisoner in a place like Dannemora may actually turn out to be easier than trying to finding an affordable place in Williamsburg. 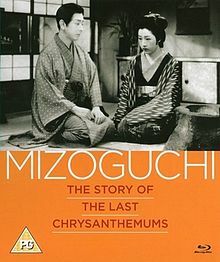 The plot of Kenji Mizoguchi’s The Story of the Last Chrysanthemums (1939), that's currently being revived at Lincoln Center’s Bunin Theater, may seem totally melodramatic. Kikunosuke Onoue (Shotaro Hanayagi), the son of a famous Kabuki actor, is forbidden to marry beneath his station because in the world of traditional Japanese theater (and culture) “pedigree means everything.” So Kiku chooses art over life and splits with his loyal wife Otoku (Kakuto Mori), the one time nursemaid of his baby brother, who had become his lover and muse (“what I offer him is something like being a nursemaid to his art,” she explains just before she is dismissed from her job). In less estheticized circumstances isn’t this what happens all the time when people choose work and career over family? However, the palette Mizoguchi is working from is far more complicated. Kiku is an adopted child whose pedigree has already been tested and whose initial theatrical outings have been failures. 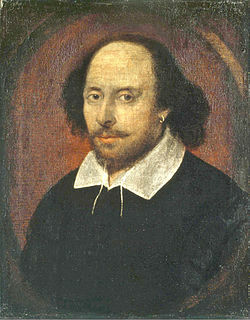 He's surrounded by courtiers-- courtesans and fellow actors-- whose universe is a mixture of false praise and saving face. This world of appearances is, of course, what acting is all about and Chrysanthemums is a film about theater. Yet if it's concerned with the ability to play a role, it’s also about the difference between role playing and sincerity. At one point later in the movie Kiku’s father, Kikugoro Onoue (Gonjuro Kawarazaki) says “being a good actor is not just about talent” as he reverses himself and tells his son “to go to your wife.” Almost all the scenes are framed in mini prosceniums as if to emphasize the presence of actors and audience, those who are participating and those who are part of the literal or figurative audience. The movie is in some way an essay in framing in which Mizoguchi's shots become paintings, really tableaux vivants, each telling the story in microcosm. Some of these are priceless like one before the end in which Otuku remains under the stage mired ropes, the symbolic noose which is slowly tightening around her. But this isn’t the only lens through which we view the fate of his characters. In the beginning Otoku and Kiku partake of the kind of romantic love that’s intensified because it’s forbidden and transgressive; in the end it’s naked ambition that drives Kiku. And when he says “We can be happy in art and life," pleading with his dying wife to “wait for me” as he proceeds to seek out the applause of the crowd, you're plainly not intended believe a word of it. Adam McKay's The Big Short is based on Michael Lewis' book about the 2007 financial crisis. It’s what's usually termed a docudrama (a category that also applies to Spotlight, the recently released film about pedophilia and the Catholic Church). However the film's hybrid nature results not only from the use of actors (Brad Pitt, Steve Carell, Christian Bale, Marisa Tomei) to tell a real story, but from the complexity of its tale. It bears the burden of trying to explain how a pair of esoteric financial instruments few people understood, credit default swaps and collateralized debt obligations, could have created such a havoc in the lives of average people all over the world. During the course of the movie the economy of Iceland will tank and that of Spain will begin to titter. Many viewers of the film may still be perplexed about what exactly happened in financial markets and why for instance Lehman Brothers and Bear Stearns were allowed to fail while other financial institutions like A.I.G were bailed out with the help of the government. Here are a few choice quotes: “Tell me the difference between stupid and illegal and I’ll have my brother-in-law arrested…truth is like poetry and most people hate poetry….I’m standing in front of a burning building and offering to sell you insurance on it.” The following from Huraki Murakami also appears on the screen: “Everyone, deep in their hearts, is waiting for the end of the world.” The language is plainly an attempt to bridge the gap between economics and emotion, but it also leaves many loose ends, the greatest of which lies in how the SEC and agencies like Moody’s, that rate financial instruments, could have fallen asleep on the job. It’s logical on one level and yet on another makes absolutely no sense. In his early writings Marx talked alienation caused by the division of labor. 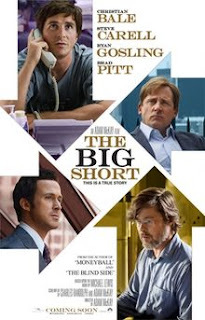 If nothing else The Big Short takes this to its logical conclusion in dramatizing an unregulated financial system that has little if nothing to do with the lives of those who actually have to work for a living. Jean-Luc Godard had a fixation on the iconography of Hollywood and in particular the American gangster movie that was reflected in his first outing Breathless (1960), the movie which made him famous. However, the only difference between Godard’s gangsters and those he pays homage to rests in the aim of their activities. If possession is nine tenths of the law then Godard’s outlaws are interested in dispossession. 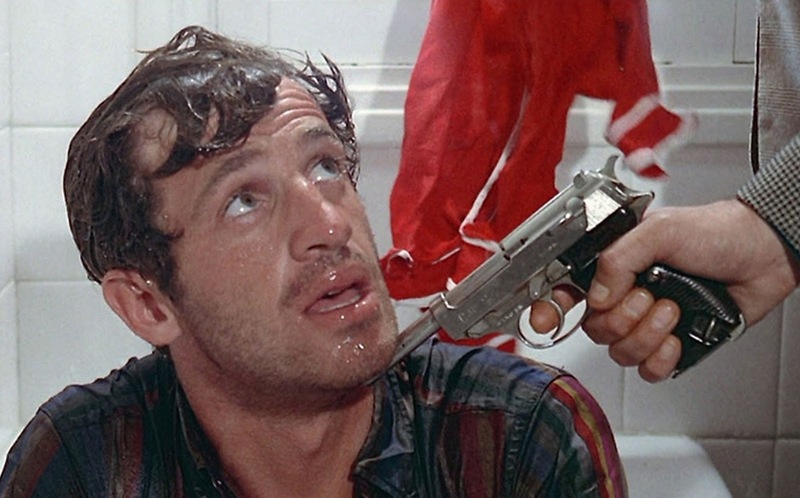 In Pierrot Le Fou (l965), which was revived recently at Film Forum, his characters Marianne (Anna Karina) and Ferdinand aka Pierrot (Jean-Paul Belmondo) embark on a crime spree that's a repudiation of materialism. They’re Bonnie and Clyde conceived of as mini Raskolnikovs, philosophical nihilists who would be at home in the pages of a Dostoevsky novel. The world they flee is one in which Parisians talk to each other in advertising slogans (even Pierrot tells the attendant in a gas station to “put a tiger in my tank"). But Godard employs a dialectics that uses juxtaposition to pull the rug out from under reality. While the opening of the film thrusts us in the center of a bourgeois household, it also begins with a lecture on Velasquez and Pierrot's phone number is a Balzac exchange. Pierrot says, “I feel fragmented” and later “we have come to the age of the double man. We don’t need mirrors to talk to ourselves.” As the couple make their escape to a Crusoe type world, the camera focuses on Marianne even as Pierrot is talking. Godard who owes his filmic style to Brecht, makes no concession to illusion. When Marianne asks Pierrot what he is doing as he looks backwards in another scene, he says “I’m talking to the audience.” The movie posits an esthetic form of Joseph Schumpeter's concept of "creative destruction" to the extent that a utopian reinvention of both language and life is a subtext of Godard's narrative. For instance Belmondo repeatedly bristles when Marianne calls him Pierrot insisting repeatedly and comically, as if he hasn't said it before, that his name is Ferdinand. Pierrot Le Fou, is overly long and employs citations like a brilliant lycee student who knows his Baudelaire. But it’s also brilliant and Karina, whose personal relationship with Godard was in the process of dissolution during the shooting of the film (they'd been married, but got divorced), has the kind of beauty that might lure a filmgoer to his or her death. The Case of Tashfeen M.
Where Do All the Lonely People Belong?